Hot Stone Massage is a style of massage in which water-treated stones are placed at specific sites on the client's body to promote relaxation and to help open up the meridians (energy pathways). 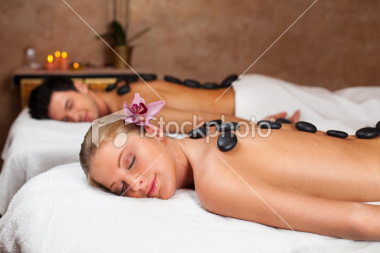 Muscles are pretreated with the heated stones to allow the therapist to more easily perform deep tissue manipulations. Cool stones are sometimes used alternately with hot stones. Massage oils are usually incorporated into the massage treatment.